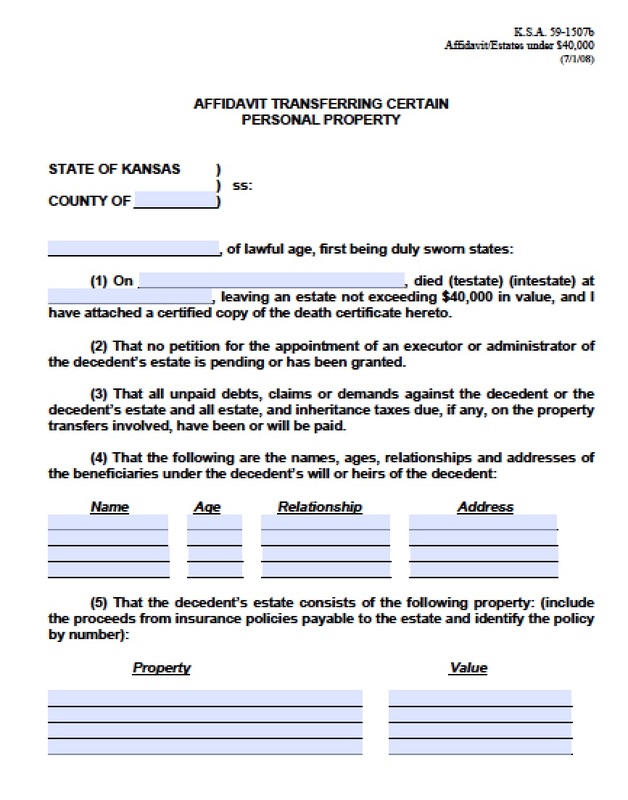 If a person living in Kansas passes away, or they own property in the state, their heirs may file an affidavit of heirship to claim their loved one’s personal property as long as the estate values less than $40,000. These assets are most often bank accounts, but can include other personal property such as vehicles or heirlooms. 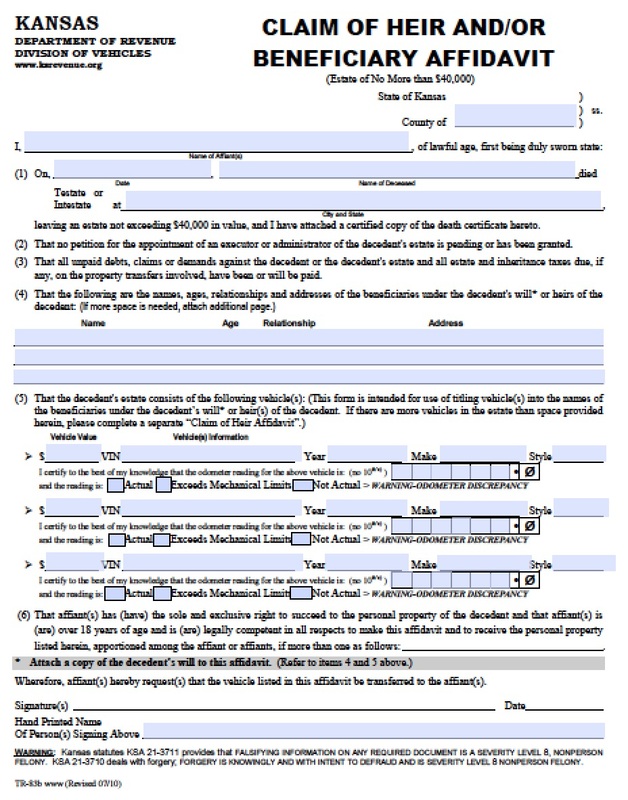 The affidavit of heirship may also be used to collect any debts owed to the decedent, such as final paychecks. 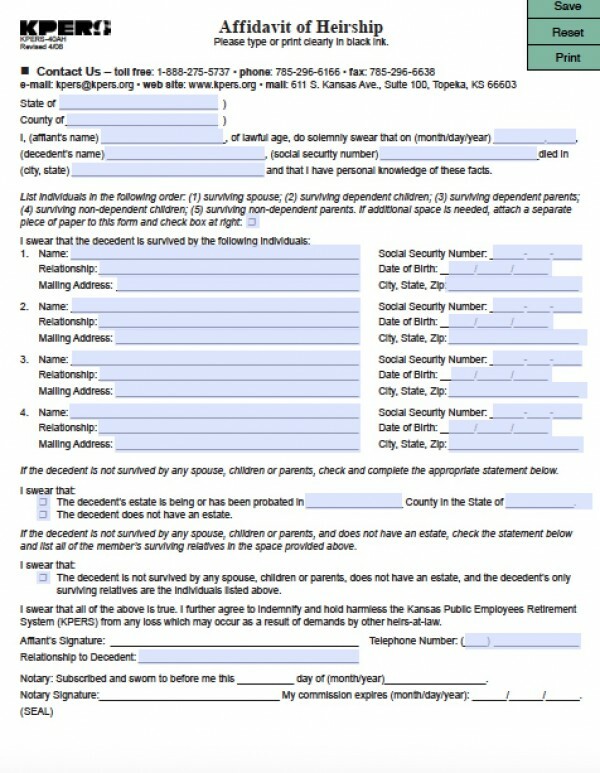 The statute governing this affidavit in Kansas is Kan. Stat. Ann. § 59-1507b.